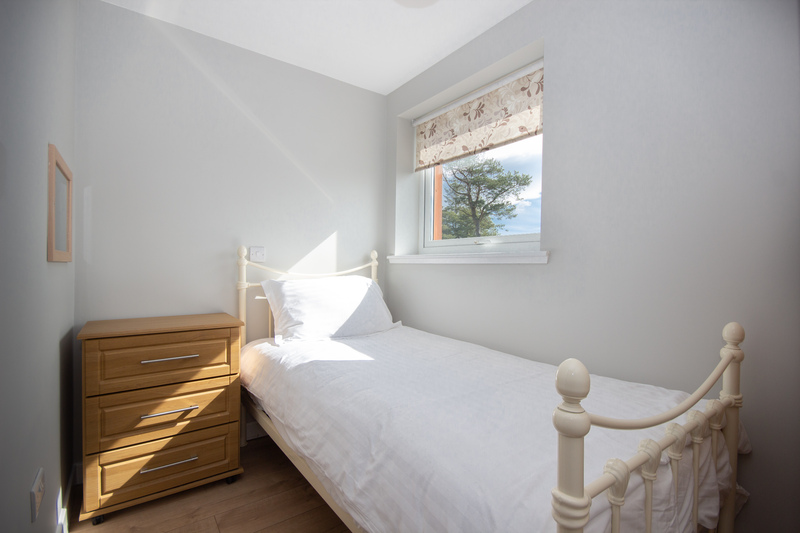 Our superior two storey “A” Frame “Woodside” and “Park View” Cottages have been sympathetically converted with families in mind. 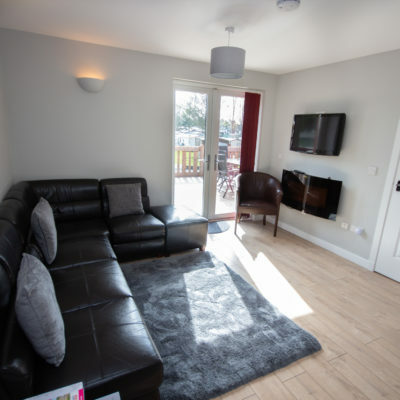 The wood cladding on the outside gives them the country lodge look and inside with modern decor is cosy and bright with wooden floors with underfloor heating throughout. 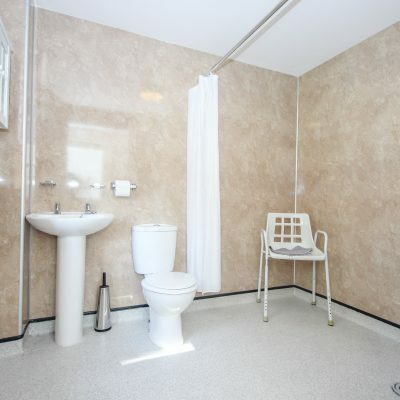 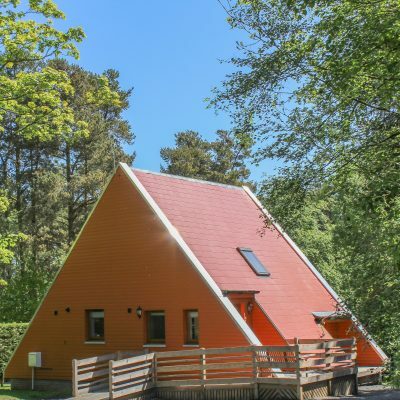 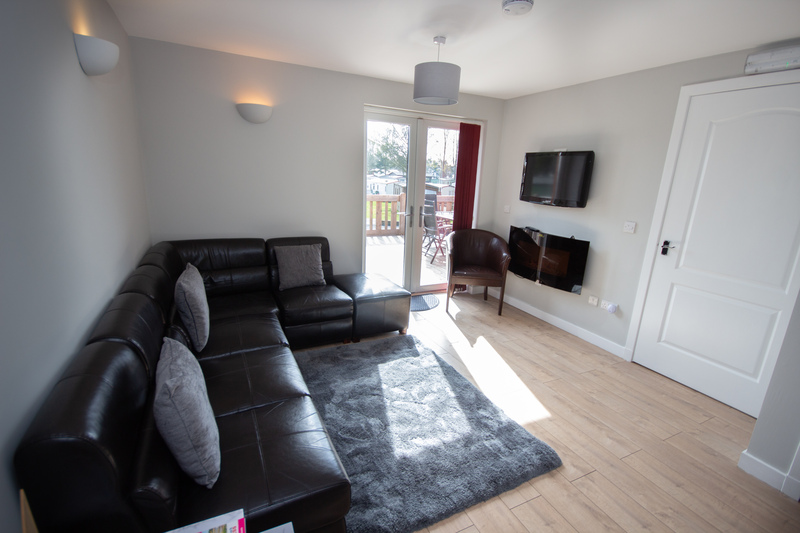 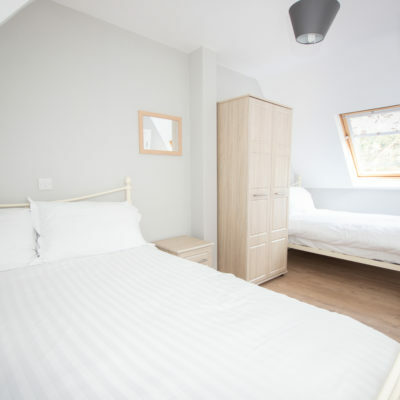 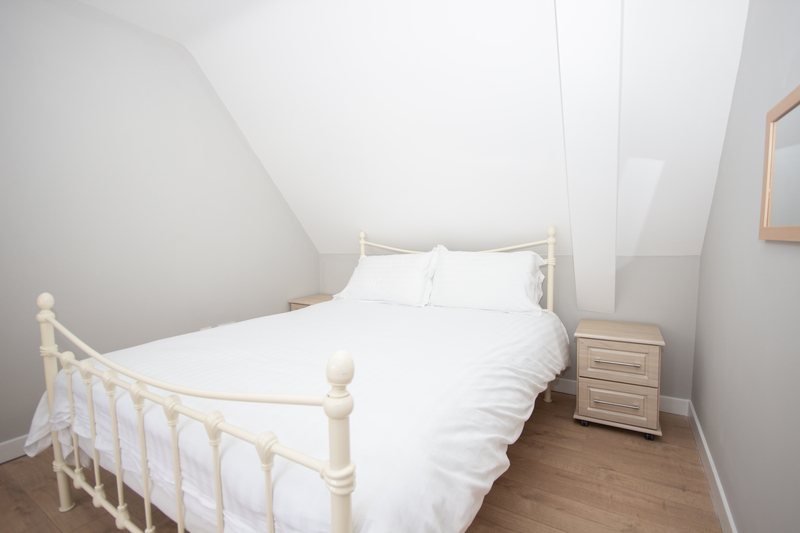 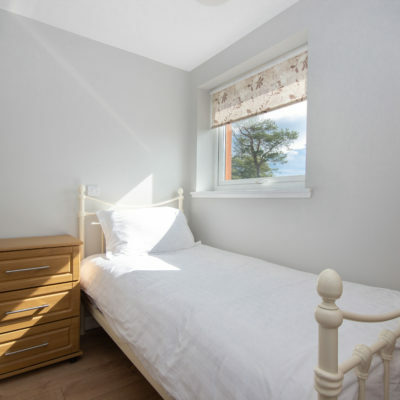 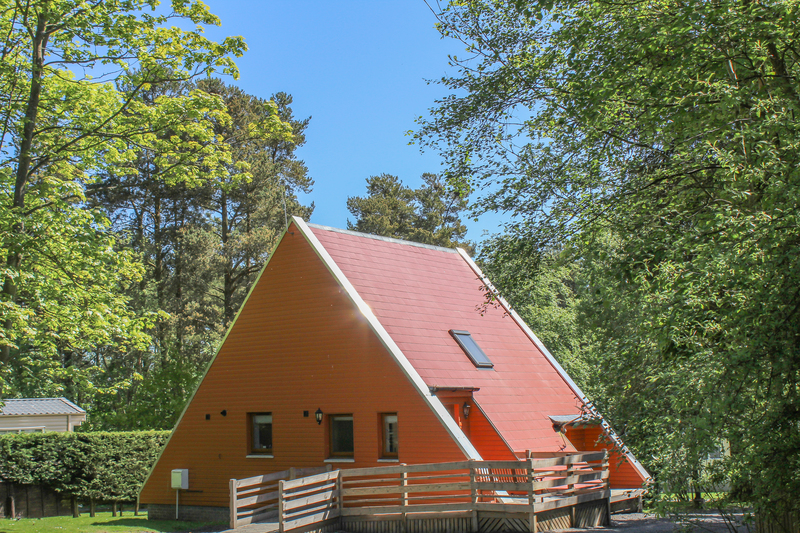 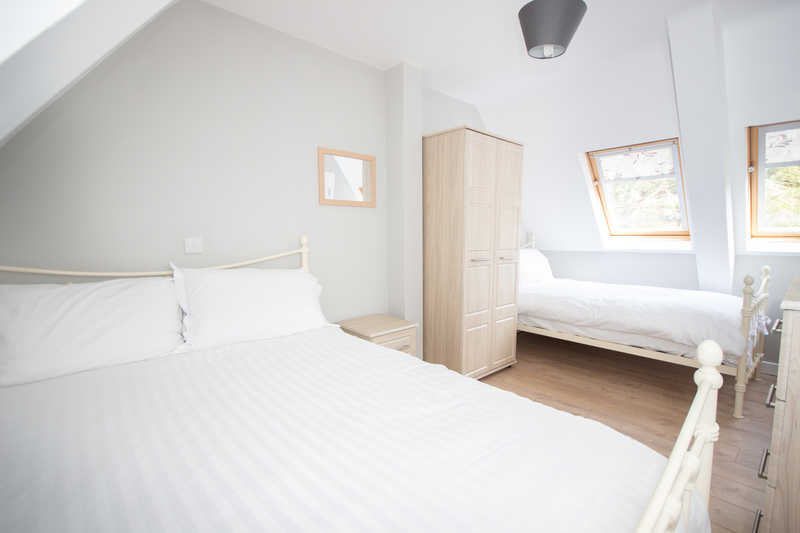 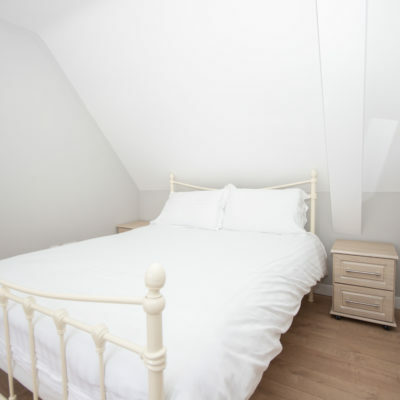 Featuring two bedrooms on the first floor, each with a double & single bed and a single room on the ground floor which is wheelchair friendly. 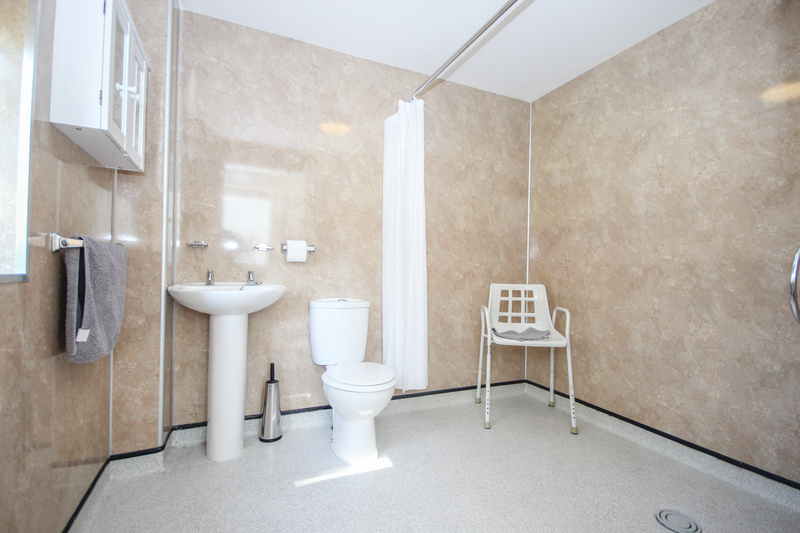 There is a large wet room, very comfortable living area with a large wall mounted Freeview T.V. 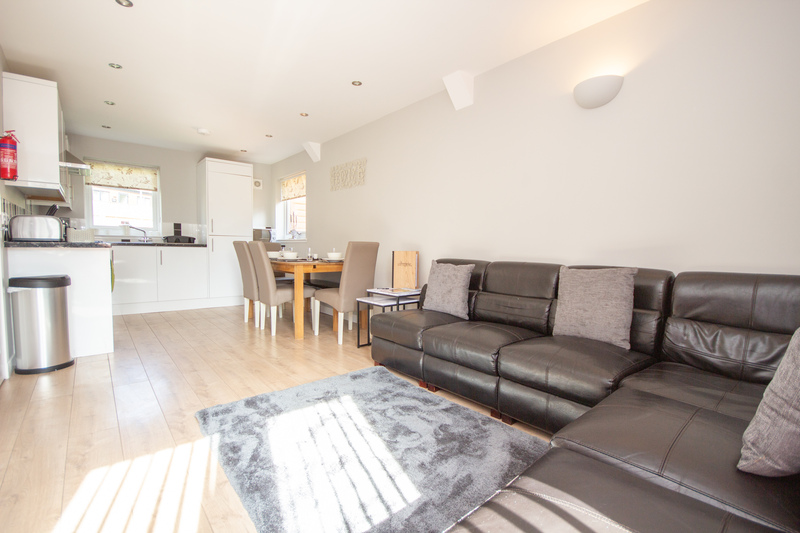 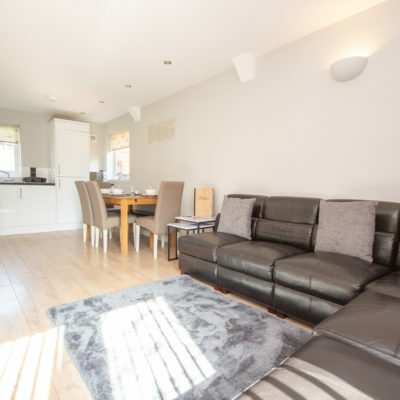 A superb fully equipped fitted kitchen and dining area. 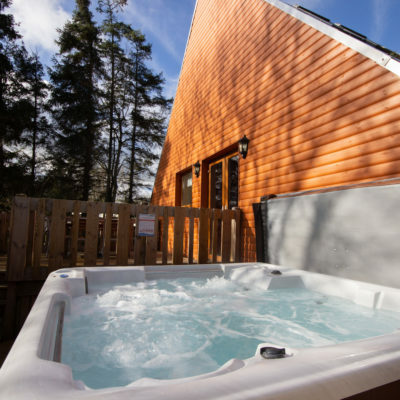 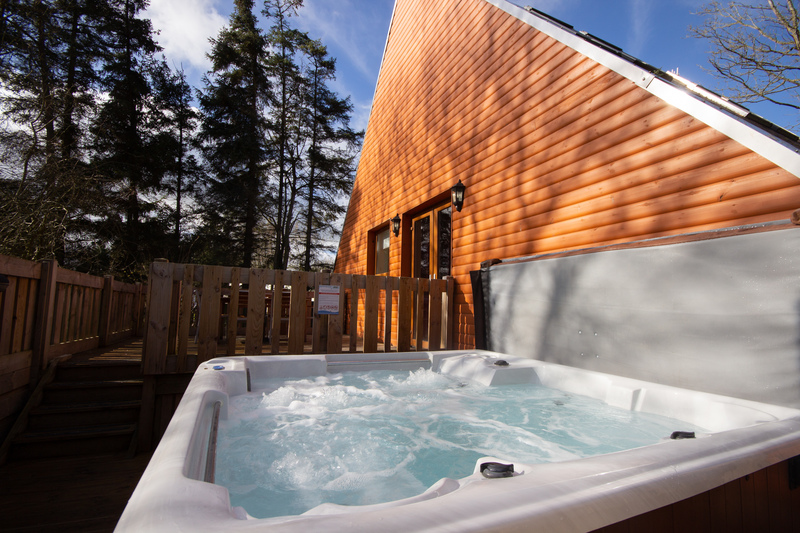 The lounge patio doors open onto a large decking with a stairway leading to the lower decking where the luxury Hot Tub is enclosed in a shaded area for your privacy.